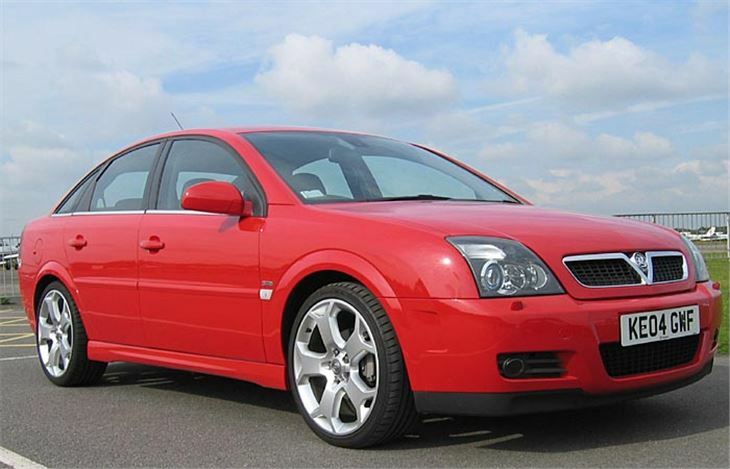 The new 2004 Vauxhall Vectra is a big car for big people. It’s so big in the front seats that trying to get comfortable I felt like I’d shrunk. So that’s the first piece of good news for our growing population. Big continues at the back. The yawning chasm of a boot looks like it would cheerfully accommodate an entire flat-pack kitchen. 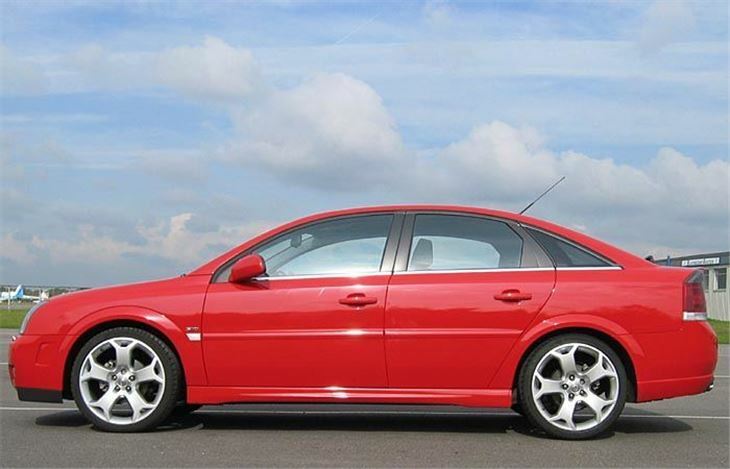 So if you ever see a new shape Vectra with a top-box, the family inside it is probably moving house. 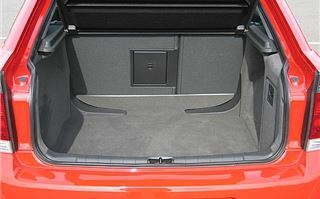 But all that baggage space does come at a price and in this case it’s rear legroom. Even I found it uncomfortable to sit behind myself, so while a giant would be happy in the front seat, he’d better not regard the new Vectra as family transport. The belt-cam FIAT/Alfa/GM 1.9 litre 150PS diesel is very impressive. Not as gruff and ‘sudden’ as VAG’s new 140PS 2.0 litre. 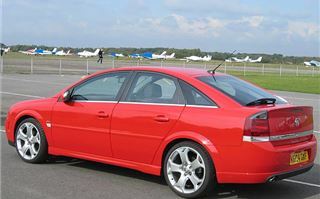 But with masses of mid-range torque that fling the car forwards in 3rd and 4th gear. 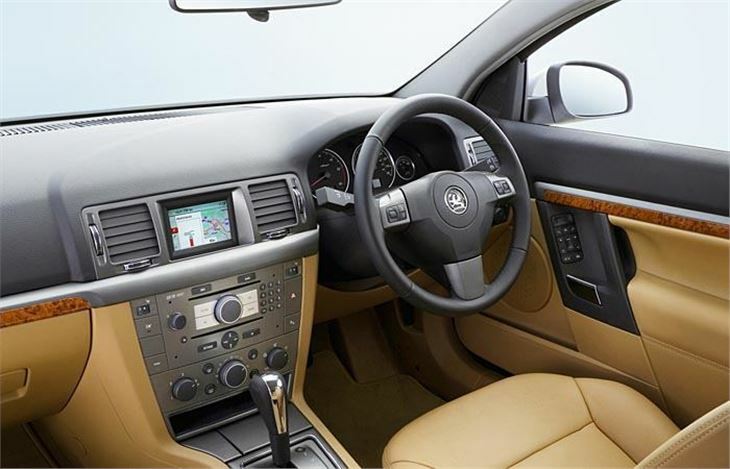 I can’t imagine any mid-managers relegated from their 3.0 litre V6s feeling short-changed in that department. 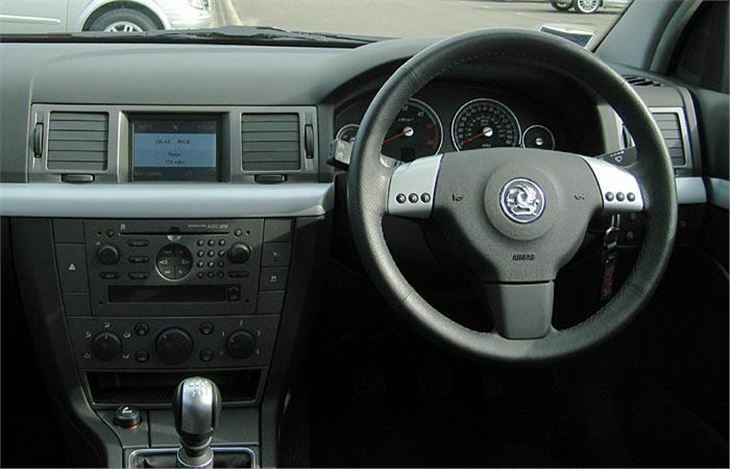 Vauxhall certainly gets its gearing right these days. The 150 pulls around 35mph per 1,000rpm in 6th which is not only pleasant and relaxing, it means that a legal 70 you’re at the perfect revs to quickly increase speed if you need to without changing down. 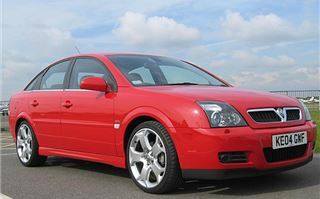 And in contrast to last week’s Astra turbo, instead of drinking petrol at 30 – 35mpg you’re sipping diesel at 40 – 45mpg. The car sits on the same ‘Epsilon’ platform as the current SAAB 9-3, so it’s far from the stodgy old pudding the previous Vectra was. I suspect it rides a lot better too, but wasn’t able to judge that properly because someone had seen fit to ‘bling’ the test car up on optional 19” alloy wheels shod with thin strips of 235/35 ZR19 rubber. 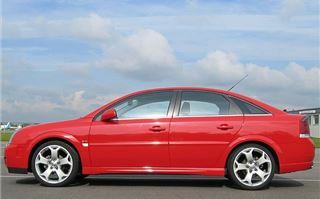 So, of course, while accelerating hard, any imperfection in the road surface had it torque-steering all over the place. Braking on the uneven surfaces now provided before most roundabouts also upset it quite badly. Even road markings could be felt through the steering. Yet, in spite of this, the ride over traffic harming measures was not too bad. So I strongly suspect that on more sensible, standard 17” wheels and tyres there would be less to complain about. And there would be no grouches at all on the 215/55 R16s of lower spec Vectras. 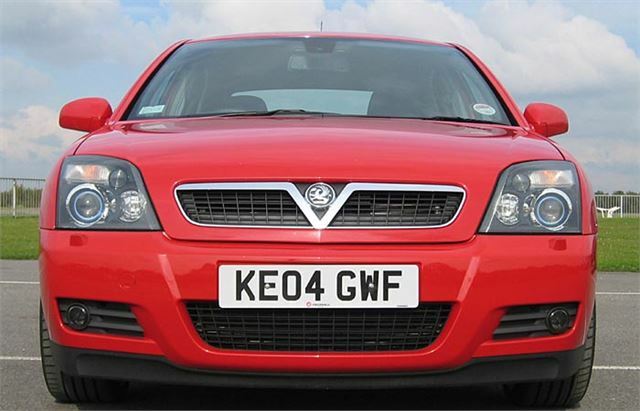 I’m not getting at Vauxhall here. These days, motors have to appeal to everyone and if they hadn’t put 19” alloys on the options list, then the aftermarket definitely would have. So what’s the verdict? Better or worse than a Mondeo? I remain a Mondeo man because it’s still a sharper handling car. But whereas the difference between a Mondeo and the old Vectra used to be chalk and cheese, now they’re no more than different kinds of cheeses. 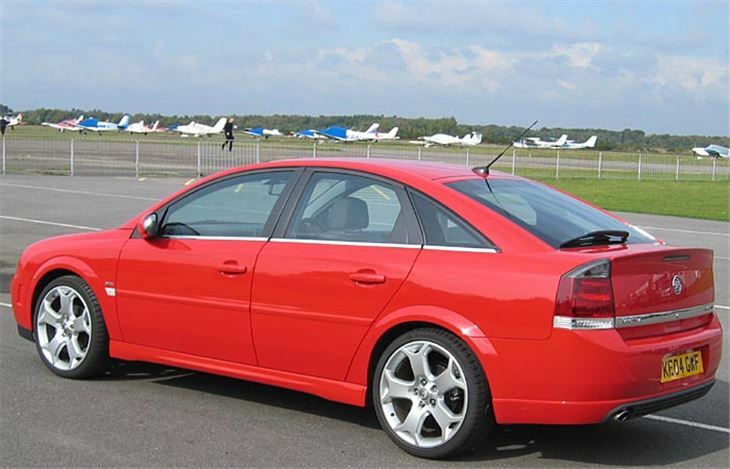 So if someone told me they preferred their new Vectra to a Mondeo I wouldn’t get into a silly argument.